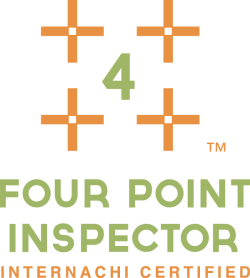 Your home inspection quote varies depending on size, age of construction, type of materials used to build the home, roof, square footage, attached/detached structures or to inspect attics or small crawlspaces. Examples: patios, porches, decks, gazebos, pergolas, attached carports or garages. The time required to perform a property inspection varies according to the conditions and the age of the property. The average time for an inspection is 2 to 2.5 hours. Additional services requested on the day of the Inspection will more than likely extend the time required. The inspection and report describes the condition and age of these elements. Insurance companies have become increasingly reluctant to issue Homeowner Insurance Policies on older homes (usually 25 years old or more). 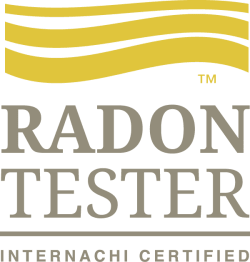 Radon Inspections knows a safe level of radon gas is no radon gas. Radon gas is a carcinogen which causes lung cancer. The US EPA has put it plainly, stating, "Any radon exposure has some risk of causing lung cancer. The lower the radon level in your home, the lower your family's risk of lung cancer." The average person receives a higher dose of radiation from the radon levels in their home than from their combined exposure to all other radiation sources, natural or man-made. Radon gas is a naturally-occurring byproduct of the radioactive decay of Uranium in the soil. Lab analysis meets VA/USDA requirements. Wood Destroying Organisms Inspections can be ordered and range from $75-$125 depending on the amount of square footage. The main purpose of a home inspection is to give you the information needed to make an informed decision on the purchase. Gator Home Inspectors focus on the major defects that will cost the buyer a lot of money above the purchase price to repair. All final costs will be explained and discussed thoroughly before the inspection. Discounts are provided for returning clients needing a repeat inspection. Digital photographs are included in all inspection packages. Typically, your inspection report is conveniently sent to you via email typically within 1-3 days. The "Inspection Agreement" will be presented in writing prior to the start of any inspection.